Titus’ delivery of the line is hilarious but there also is something comical about how graphic the process (different, stronger teeth overtake weaker ones!) of losing your baby teeth is. An act that is also a signifier of adulthood. 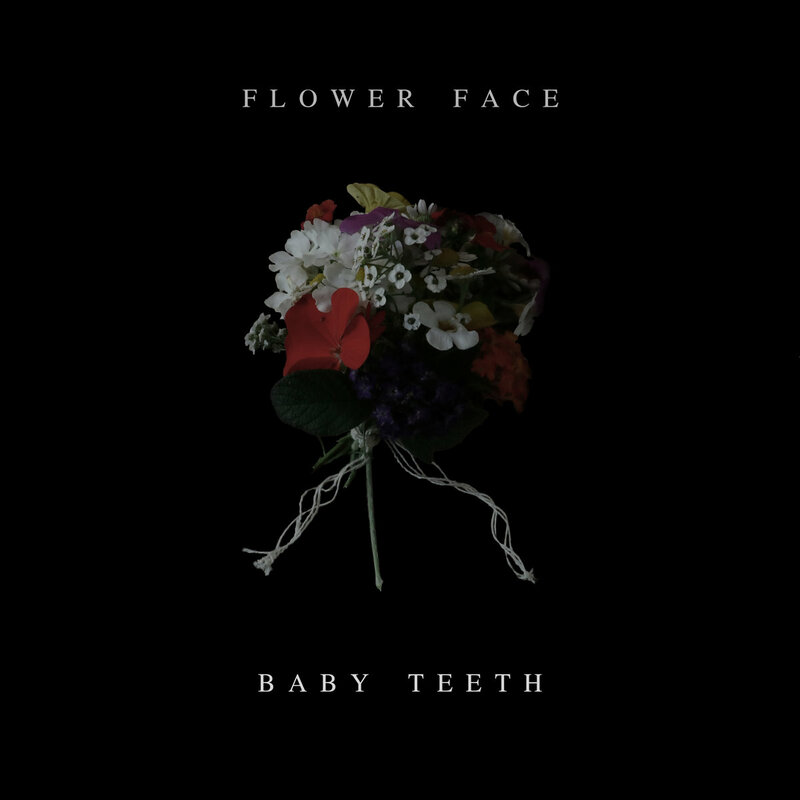 There’s a brutality to Flower Face’s (Ruby Mckinnon) album that is befitting of its title, Baby Teeth. Mckinnon’s childhood is seemingly bulldozed here as she strains under the pain of love and life. Delivered in hushed, raspy tones, Mckinnon’s characterizations of an all-consuming love are graphic yet hauntingly beautiful. On the title track, a folk-rock song, she sings, ”I wear your ache inside my heart, my dear, forever and evermore.” By the latter half of the album, this “ache” has evolved into torturous gnawing and Mckinnon wants whoever is causing her this pain to feel it themselves: “I want to hold your hand, I want to hold your throat, I want you marked with blood and broken bones, I want to eat at you the way it eats at me.” she sings on the dour piano-ballad “Tell Me When It Hurts”. Love and death are neighbours on Baby Teeth as death sulks quietly in the corners of the record. Sometimes death moves swiftly straight to you, wading through discarded beer cans and drug paraphernalia, but mostly death just stands around, breathing loudly. Mckinnon told Exclaim! that she had a brush with death when she was 17 – just two years ago – when she was diagnosed with ovarian cancer but maintains that her lyrics have always been dark. The imagery of “Honey and Milk” is far from sweet as Mckinnon subverts the holiness of heavenly bodies: “God’s staying at the Diane Motel and he’s smoking out on the lawn.” On standout track “April to Death,” a deceivingly sunny folk-pop tune, Mckinnon flirts with death under a haze of drugs, love, and cigarette smoke. The deathbed that’s referenced here does not allude to a premature resting place. Mckinnon looks to the future and hopes to stay together with her subject until they have an old-couple-in-the-Titanic- deathbed moment. Despite the album’s darkness, Mckinnon extracts beauty in the face of pain.